Founded in 1981, the New Lenox Soccer Association (NLSA) is located in the Southwest suburbs of Chicago, along the I-80 corridor. NLSA is a non-profit organization that devotes its efforts entirely to the youth within the community. The success of the Association is primarily due to the volunteers and their commitment to the league. The dedication of the parents, event helpers, team parents, coaches, and board members has made the organization what it is today. The number of players has steadily increased throughout the years. In 1981, the NLSA started with 165 players for the fall season. 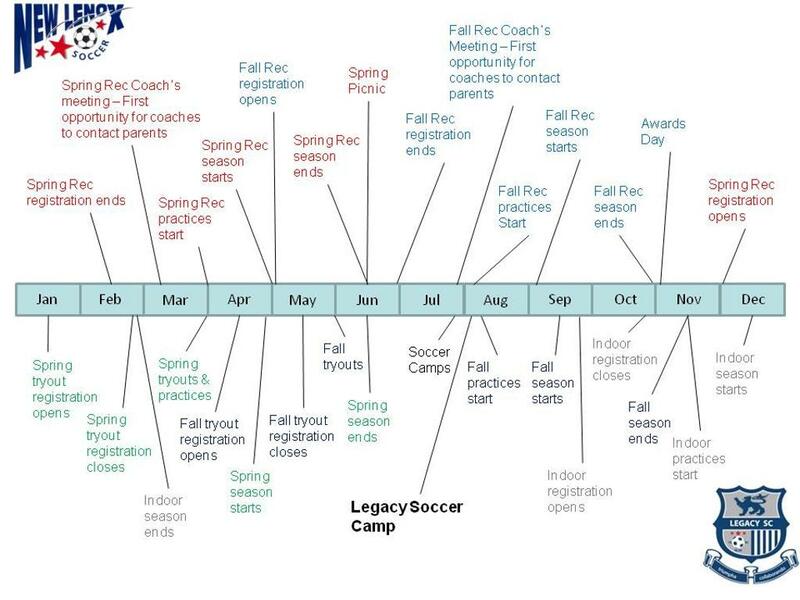 In 2007, 550 players were rostered for the spring season, and over 750 for the fall. New Lenox Soccer Association now offers a Recreational League, a Competitive (Travel) League, and two Youth Development programs (Little Legacy and Little Feet Soccer). Practices start week of April 1.